If you’ve got royal wedding fever and are craving the weekend’s details, look no further! We are going to give you a breakdown of everything you need to know about the big day. 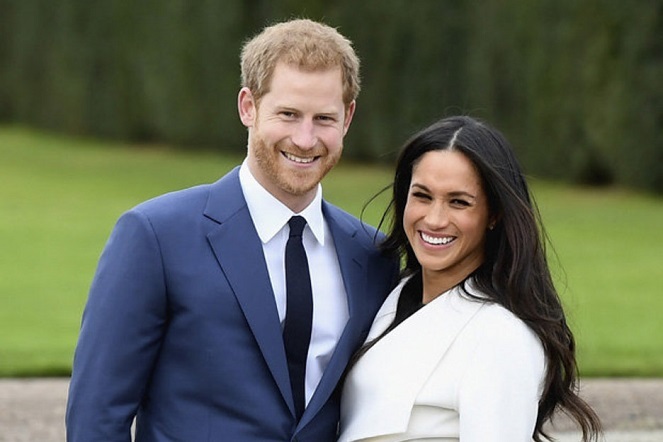 It’s finally time for the highly anticipated wedding of Prince Harry and Meghan Markle, at Windsor Castle in England, following their engagement late last year. We’re all desperate to see the bridal gown. However, both the dress and the designer are being kept under wraps until the big day. Rumour has it that Harry will opt for a low-key morning suit instead of the traditional military uniform. Prince Harry and Megan are set to have the cutest group of little bridesmaids and pageboys! 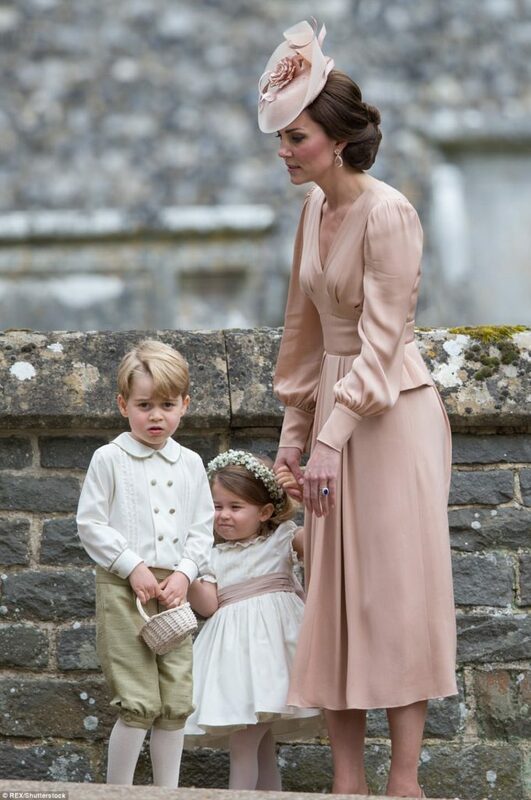 Leading the bridal party will be royal siblings Prince George, 4, and Princess Charlotte, 3. Harry’s nephew and niece will reprise their roles from Pippa Middleton’s wedding last May. Several of Harry and Meghan’s godchildren and children of their friends will also serve in the bridal party. One food that will not be on the menu for Prince Harry and Meghan Markle’s wedding is oysters. Along with shellfish, members of the royal family are also advised to steer clear of raw meat, tap water in foreign countries and overly exotic spicy foods. Although it won’t be televised, Megan is set to give a speech at her wedding reception! Traditionally, only men would speak at weddings, however bridal speeches are slowly becoming more common. Our inner feminist is fist-pumping! Royal weddings in the UK are occasions for celebrating homegrown craft and produce. Sparkling wine from Chapel Down vineyard in Kent was served at the reception for the Duke and Duchess of Cambridge, along with an array of locally-sourced food. US-born Meghan Markle regularly wears British labels and brands, like Mulberry. On a visit to Brixton Radio Station, the Marks & Spencer sweater she wore sold out within hours. We’re expecting to see a wide variety of British fashion and products at Saturday’s nuptials. Meghan Markle knows when to be formal, despite sometimes ignoring protocol when greeting members of the public. She’s nailed the balance between formal and casual, smart and stylish. Guests at the wedding on Saturday should bring a similar sense of occasion, opting for an outfit that incorporates both tradition and style to acknowledge the importance of the ceremony. Any guests introduced to a member of the royal family should curtsy or bow from the neck. British custom calls for women to attend royal weddings with feathers, fake butterflies and more atop their heads. We’re expecting some extravagant head gear from both the royal family and their guests. We’re talking about the plant, not the Hogwarts ghost! 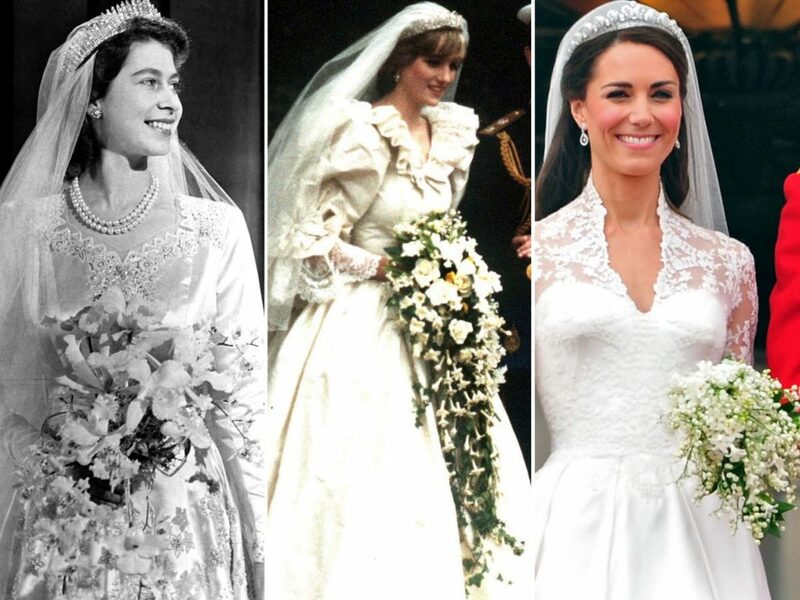 Every royal bride since Queen Victoria has held a bouquet containing a spring of myrtle from Queen Victoria’s garden. This is a traditional symbol of love and marriage. Who’s Walking Meghan down the Aisle? Meghan Markle’s family drama has all the makings of TV soap opera. Her father, Thomas Markle Senior, has left everyone confused after going back and forth this week on whether or not he would be at the ceremony in Windsor to walk his daughter down the aisle. After it was revealed he had been staging photographs for the paparazzi, Thomas told media he would not attend the wedding. He also claimed he’d recently suffered a recent heart scare. Not long afterward, he insisted he would be going after all, as he wanted to be a “part of history.” Less than 24 hours later, post-surgery, Thomas said he would not attend the ceremony. Some are predicting that if Thomas does not show up to the wedding Megan’s mum, Doria, is a favourite to walk her down the aisle. She is already expected to travel in the car to the church with Meghan on her big day. However, it was earlier reported that the Royal family were not keen on having a woman fill the traditionally male role. Prince Charles has no official duty during the wedding. He and wife Camilla, Duchess of Cornwall, have reportedly been very welcoming to Meghan. He’s even hosting the couple’s evening wedding reception at Frogmore House. Most free-to-air TV channels will begin coverage from 7pm on Saturday 19th May, in the lead up to the wedding ceremony. 7:30pm (AEST) 5:30pm (WA) – Royal Wedding: Prince Harry and Meghan Markle, live from London on Saturday 19 May. Rolling coverage will occur throughout the day right up until the ceremony. 7:00pm (AEST) 5:00pm (WA) – Harry & Meghan – The Royal Wedding begins. The first guests, including 1200 members of the public who were invited to view the celebrations outside the church, start to arrive at St George’s Chapel, in Windsor Castle. This is when the rest of the extended Royal family will begin to arrive, according to CNN. Keep a look-out for Prince Harry and his best man, Prince William, who are due to arrive on the chapel’s west steps. The pair will arrive on foot, and Prince Harry will walk past the crowds in the grounds prior to the ceremony. This is when Queen Elizabeth will arrive, according to the Telegraph, and take her seat at the service. With one minute to spare before the ceremony is due to officially begin, Ms Markle is due to arrive on the west steps of the chapel. This is when the official ceremony begins, and it’ll last for an hour. The Reverend Michael Curry from Chicago, Illinois has been asked to give the address at the wedding. The Dean of Windsor David Conner will conduct the service, while the Archbishop of Canterbury Justin Welby will officiate as the couple make their marriage vows. The couple will leave the chapel once the ceremony is over and speak to 200 representatives from charities Prince Harry is associated with. Once they’re done, the new couple will board an Ascot Landau carriage pulled by Windsor Grey horses for their procession through the town, which is expected to take about 25 minutes. They’ll be returning to Windsor Castle via the Long Walk, a straight tree-lined path. It’s time for the first of two receptions of the day. This first reception will be held in St George’s Hall inside the castle. All of the 600 guests invited to the wedding will get a seat at this one. The second reception of the day will be held at Frogmore House. Only 200 guests have got an invite to this more intimate gathering. It’s expected to be when the real party begins, and the Queen and Prince Philip probably won’t be there.